Tired of the same old mug design for having coffee or tea? 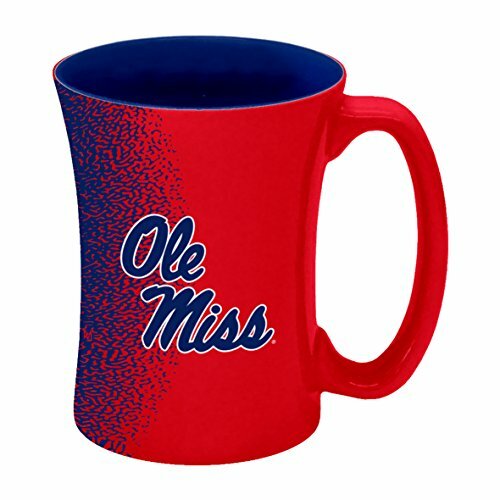 Perk up your morning routine and showcase your team spirit with this NCAA Sculpted Mocha Mug by Boelter Brands. Each mug holds up to 14-ounces and is made of strong ceramic construction. It is decorated with a splatter-like appearance with vibrant team colored graphics. Microwave and dishwasher safe. Makes for an ideal gift for yourself or a loved one. View More In Coffee Mugs.